I’m hearing great things from software professionals about Transifex, a SaaS translation solution based in Silicon Valley. As I work in user experience developer relations, I Skyped in Dimitris Glezos (@glezos), Transifex founder and Chief Ninja, in Greece to find out more. Dimitris’s background is in software development, Transifex originating as an open source project. The passions and principles of the FOSS development community, collaborating on a cloud-based platform, remain true today. Transifex knows how developers work in the cloud, and provides a user experience that makes sense to a world of GitHub, PaaS, Python gettext, RESTful APIs, Ruby, SaaS, and so on. Transifex has even been referred to as “the GitHub of software translation“, which is some accolade in the development community! 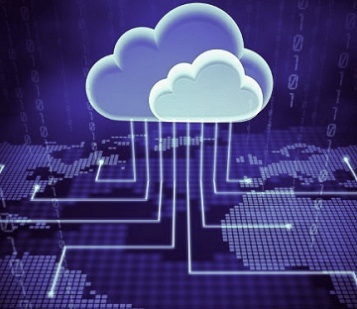 Transifex API enables integration of software development workflows and tools in the cloud. The Transifex user community now has more than 100,000 developers and translators, working together on over 10,000 projects. Transifex users range from well-known enterprises to tech startups and the open-source community. Transifex can quietly boast of a diverse portfolio of successful translation projects ranging from hundreds millions of words of online courseware to strings for wearables and apps. A testament that Transifex is not a “one size fits all” model, what is really staggering about such a breadth of achievements is that it happened without Transifex having a single sales person, or offering those LSP-style “services”. The Transifex platform is development friendly and flexible, tooling up small pockets of remote developers to build iterative, dynamic content using 24/7 workflows and lean software methodologies. Exceling with the detection of string changes and merging, Transifex is easily integrated into development environments through an API and command line interface. Transifex works upstream too, a string pseudo-translation capability enables developers to test their internationalization chops before starting translation. Transifex translators use a browser-based online editor. This user experience packs CAT capabilities, support for glossaries, collaborative tools, screenshot preview for context, and other cool features. 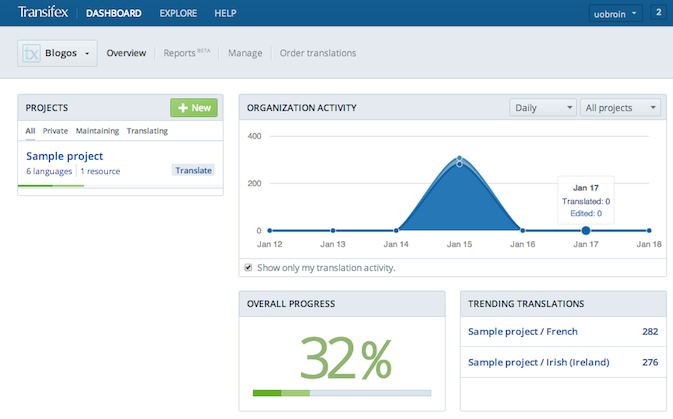 Translation projects are overseen in a contemporary online dashboard experience (it’s translated, too). The editor supports the major file types (including XLIFF and “TMX), has built-in QA for code variables in strings, enables character limits to be set, handles singular and plural variants, and makes it easy for developers and translators to work together. 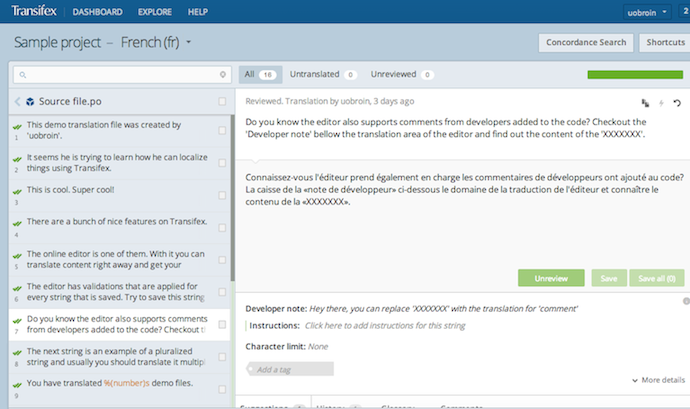 Transifex online translation editor user interface. “It’s translation the way developers want it, or the way they would have built it themselves”, says Dimitris. Most large companies have figured out a translation process, but many now innovate rapidly with small teams using agile frameworks and don’t want to build their own translation infrastructure. Developers are busy people who like to be productive, solving code problems using smart reusable solutions, and don’t need extra work. “It isn’t easy to build a translation process”, says Dimitris, “Instead, Transifex is integrated into existing development tools and workflows”. The Transifex success is based on an understanding of developers and translators and how they work, keeping both these users at the center of the user experience. An easy to use solution that seamlessly matches development processes and work styles with a community of online translators generates a powerful networking effect of kudos from satisfied users, who share their positive experiences with others. “If developers love it, they talk about it!” says Dimitris. That’s the sort of organically-generated customer experience that most can only aspire to, and money alone cannot buy. There are powerful lessons from Transifex about how software development teams and translators can work well together, not least of which is “know your users”. The Transifex story continues to unfold, and you can find out more about building international products using a SaaS platform in the case studies on the Transifex website. If you have other examples of cloud-based integrations of translation and software development teams, please share them in the comments.